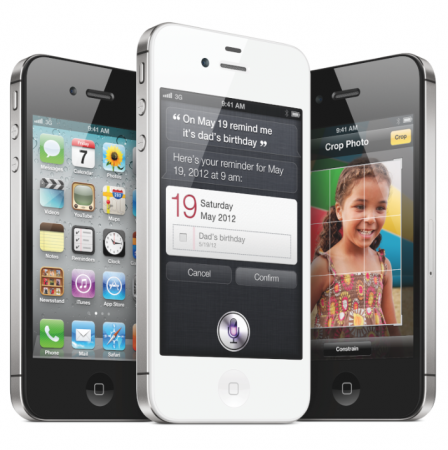 All iPhones sold by STC and Mobily are unlocked and has FaceTime disabled. 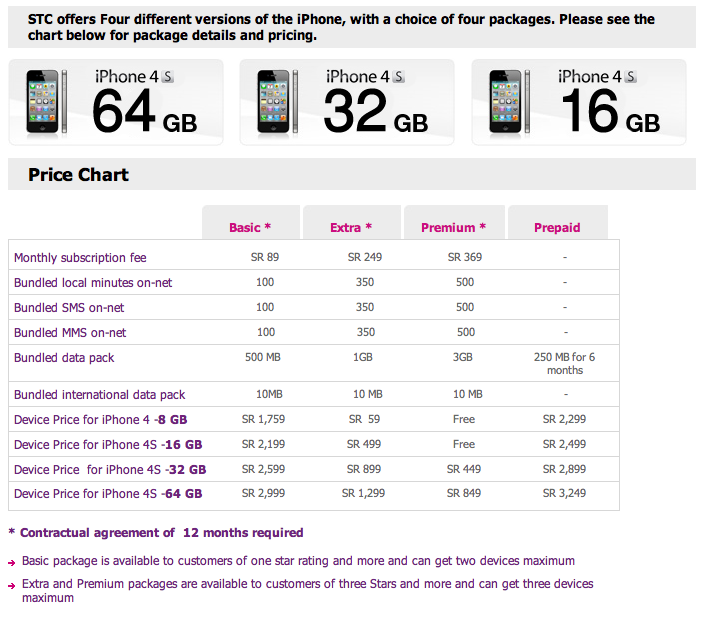 For more information: Official Saudi iPhone 4S Prices from Mobily, STC. 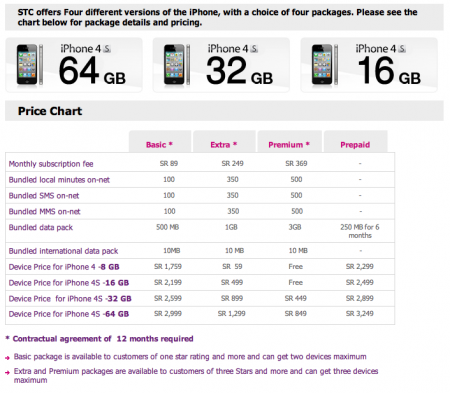 Does anyone know about the STC iphone 4S’s part number?…can i order a facetime enabled iphone? I bought an iphone 4s from mobiley ” about 4 months ago ” and facetime was enabled .